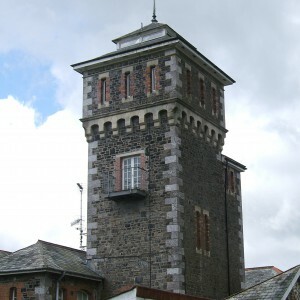 The port of Plymouth was granted the status of county borough in the local government reorganisation of 1889. 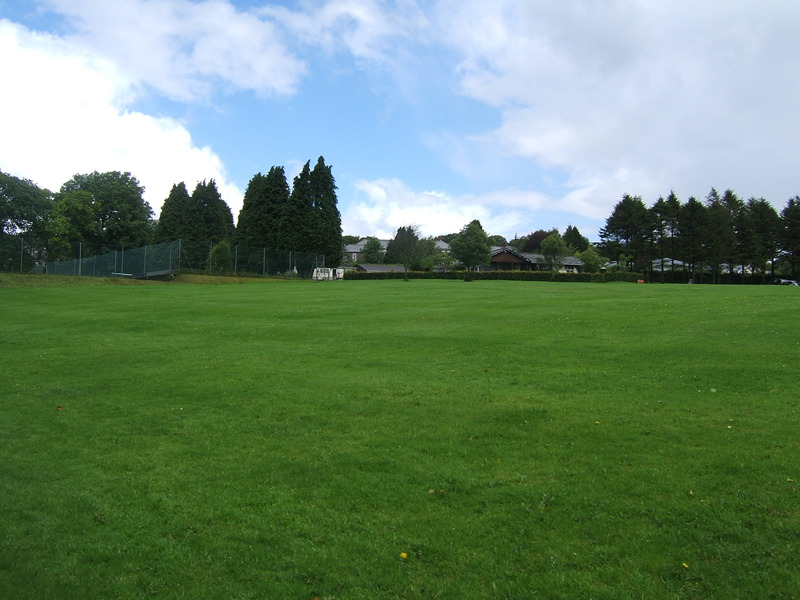 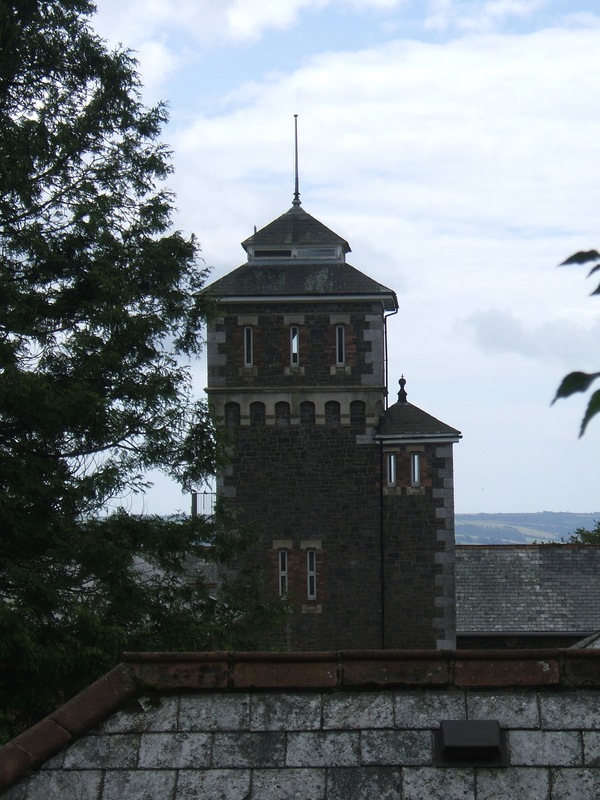 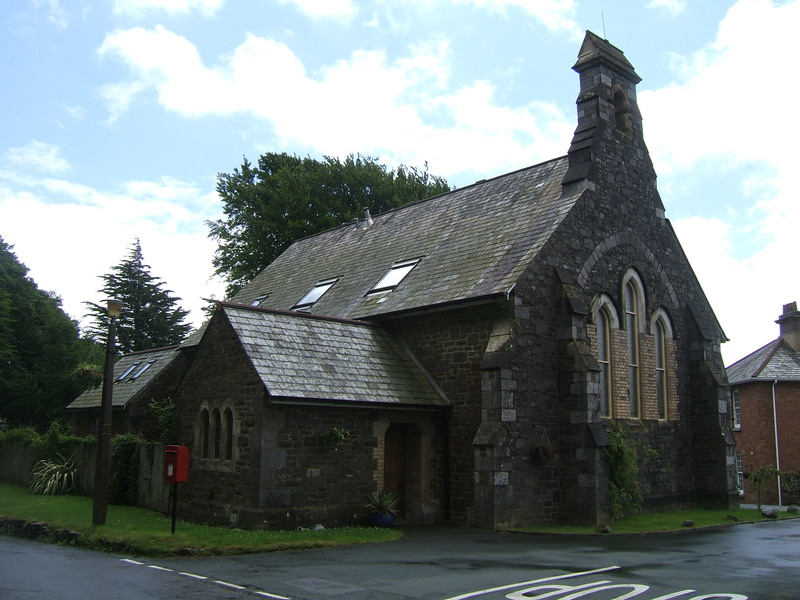 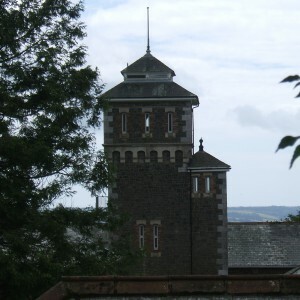 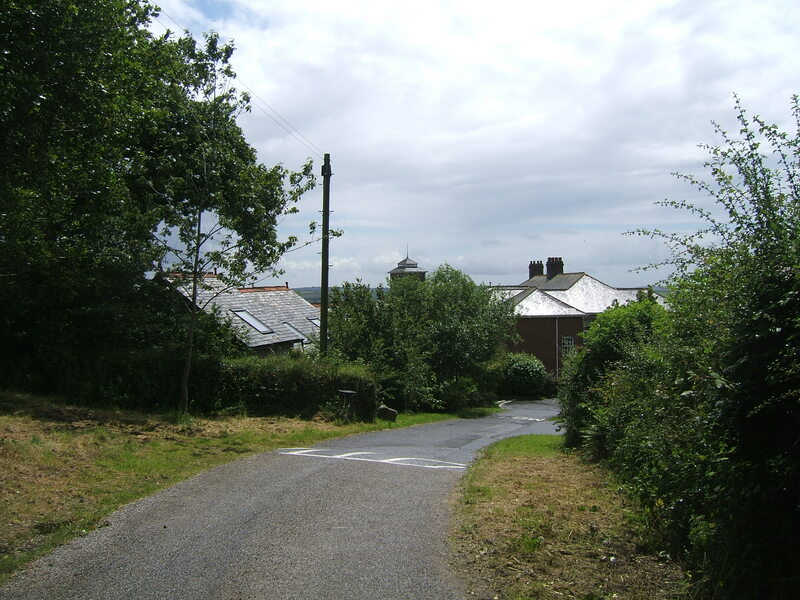 In conjunction with this new civic authority, it set about developing plans for a new asylum to be located at Blackadon farm, between the villages of Bittaford and Wrangaton near Ivybridge. 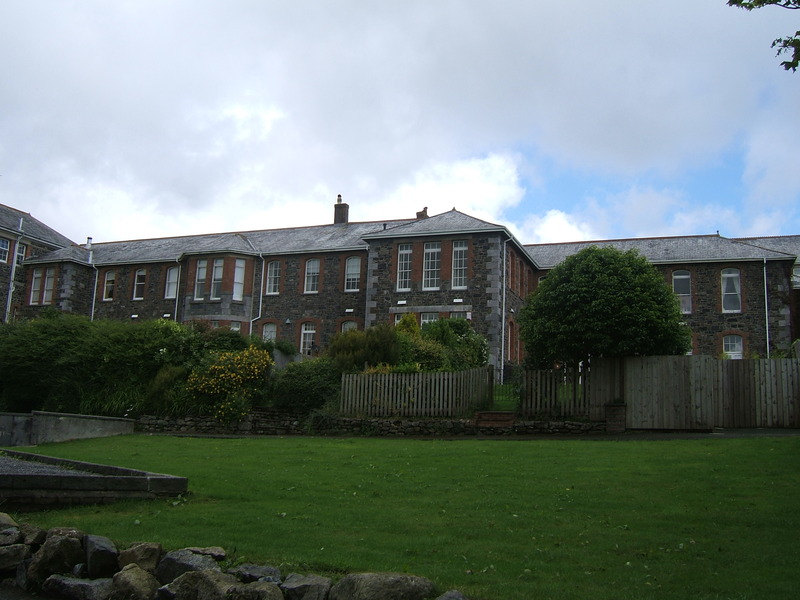 Prior to this time, the insane of Plymouth had been sent to institutions including local workhouses and the Bodmin asylum as space permitted. 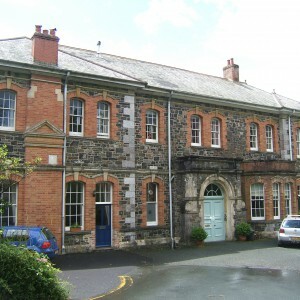 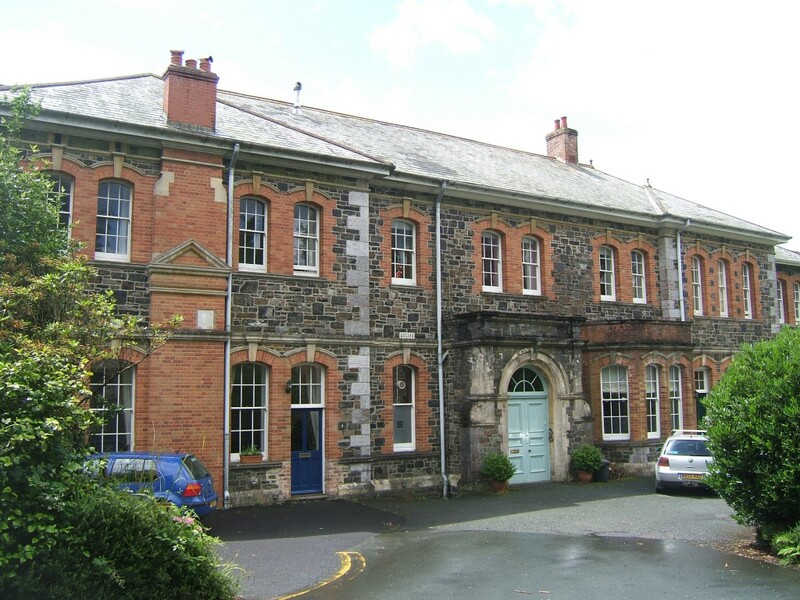 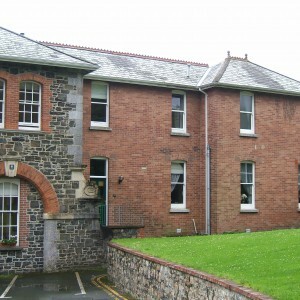 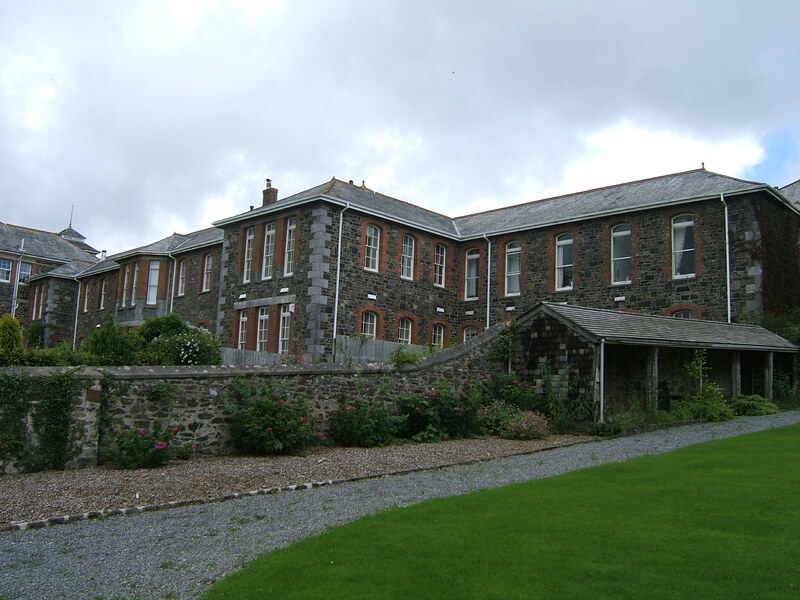 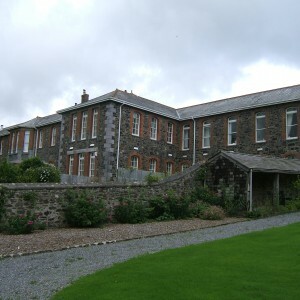 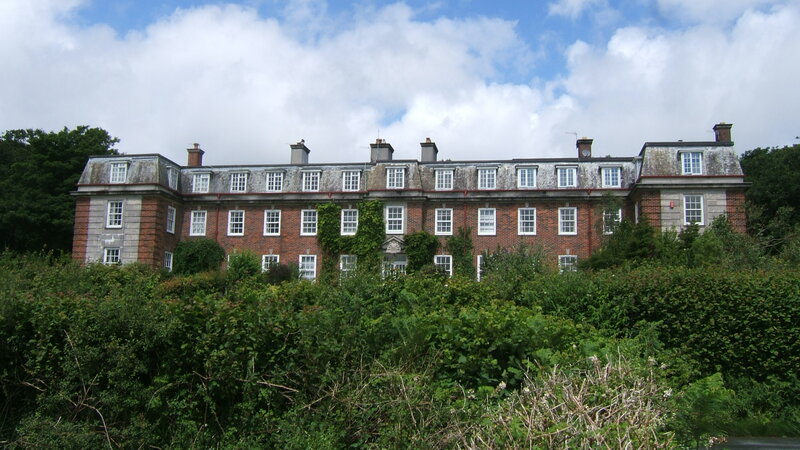 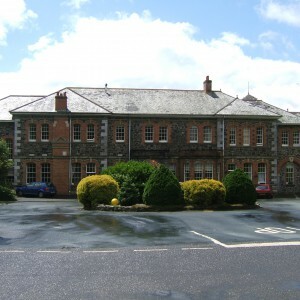 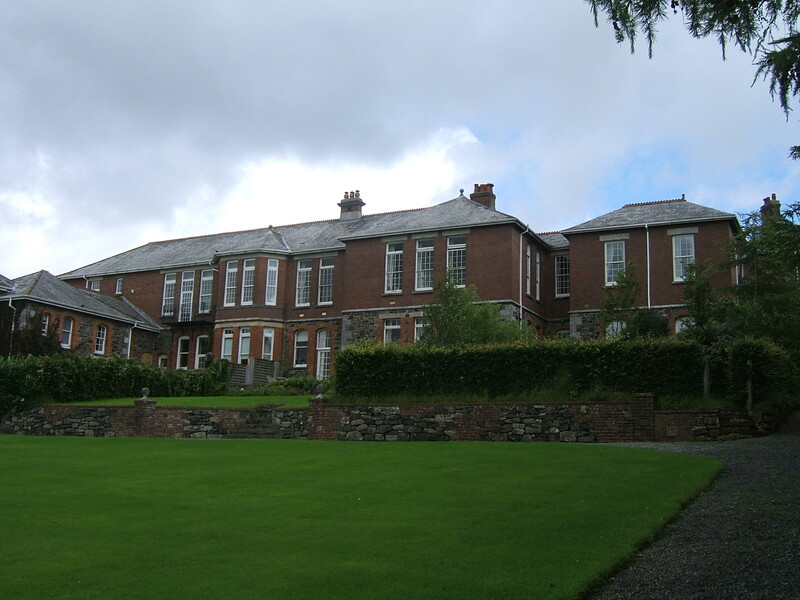 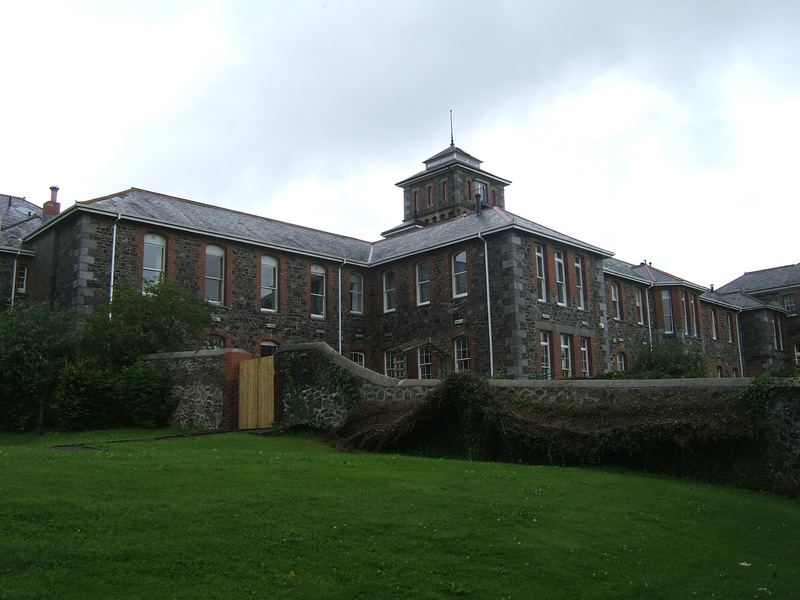 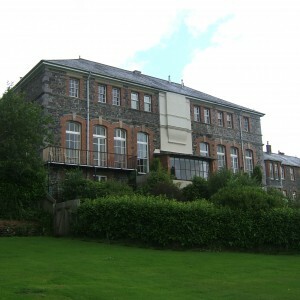 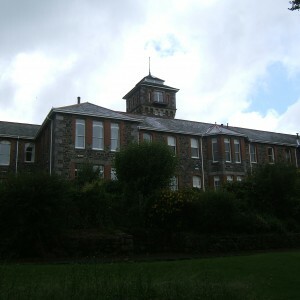 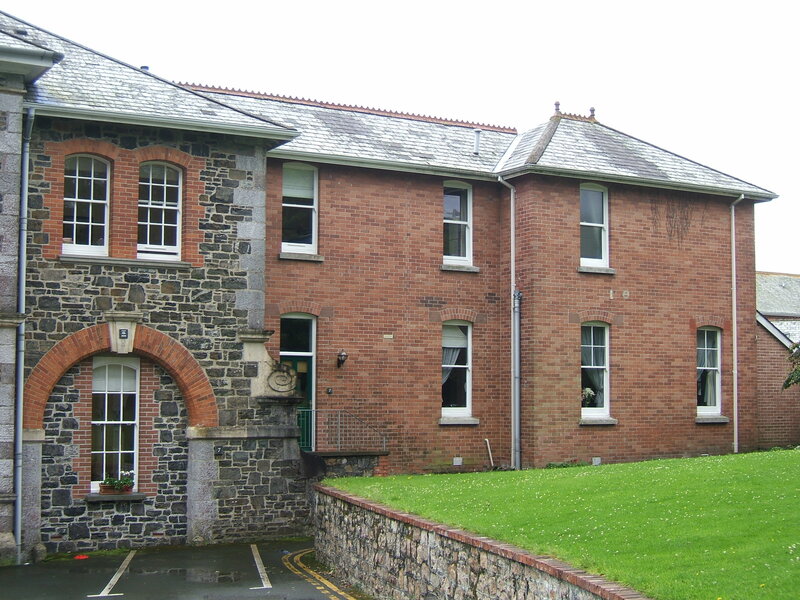 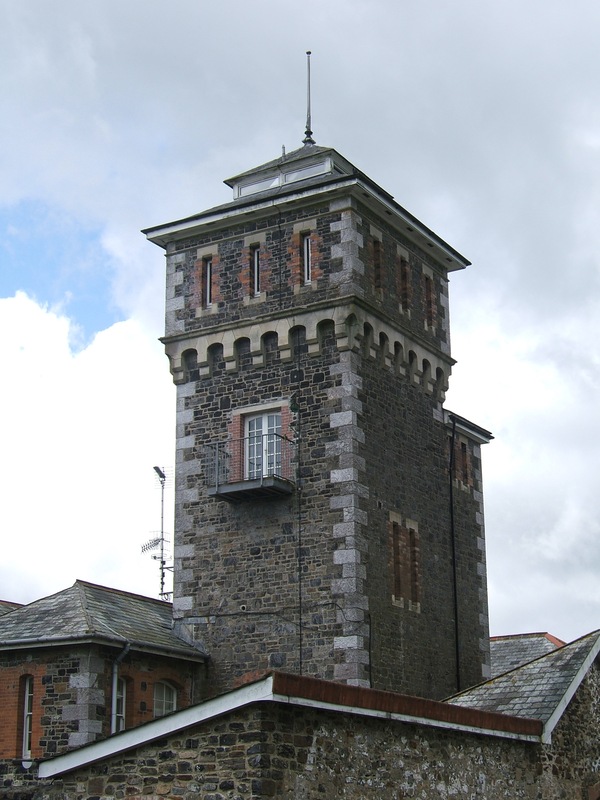 Architects James Hine and Odgers of Plymouth were engaged to design the new complex, having also been responsible for additions to the Cornwall county asylum, Bodmin. 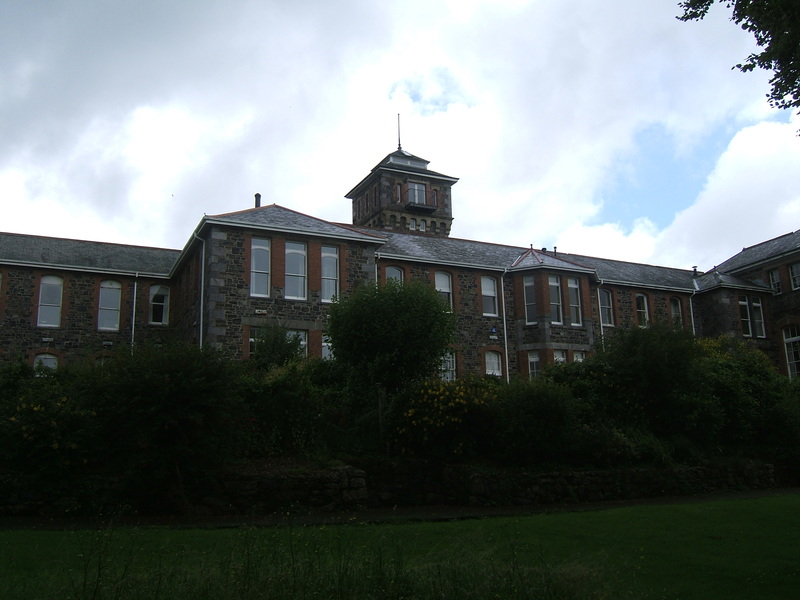 As opened on 16th October 1891, the original structures were primarily constructed from local stone with red brick dressings and comprised of male and female two storey ward blocks flanked by single storey infirmaries and separated by a dining and recreation hall complex. 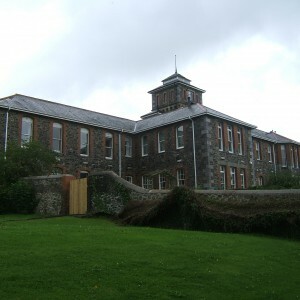 A five storey water tower and boiler house complex were sited behind the male wards with the laundry behind the female blocks. 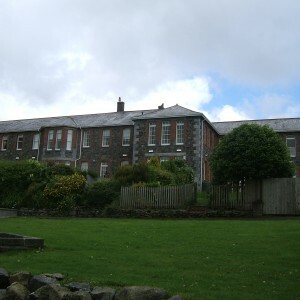 To the north stood the administrative block, chapel and senior staff residences. 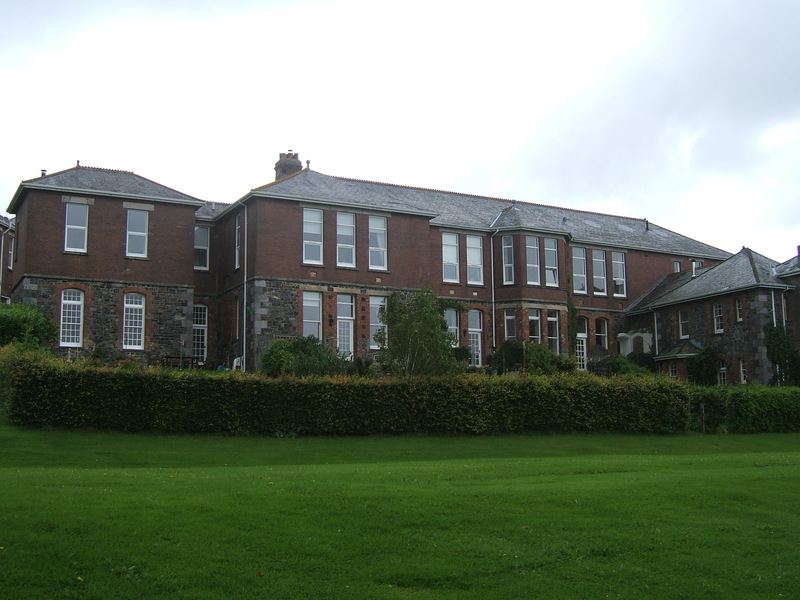 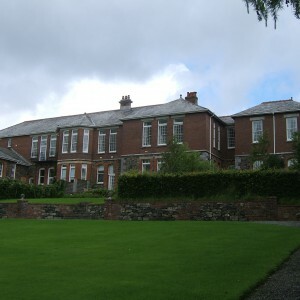 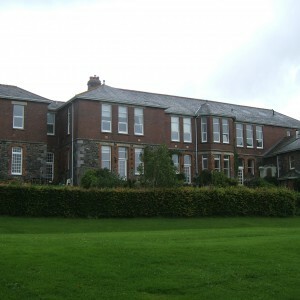 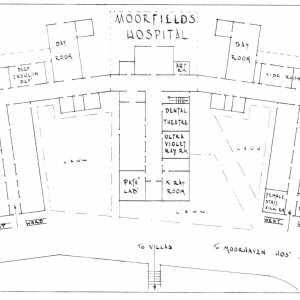 Additions of 1908 included a further storey above each infirmary, with male and female chronic blocks added to either side of the complex and constructed in dark red brick. 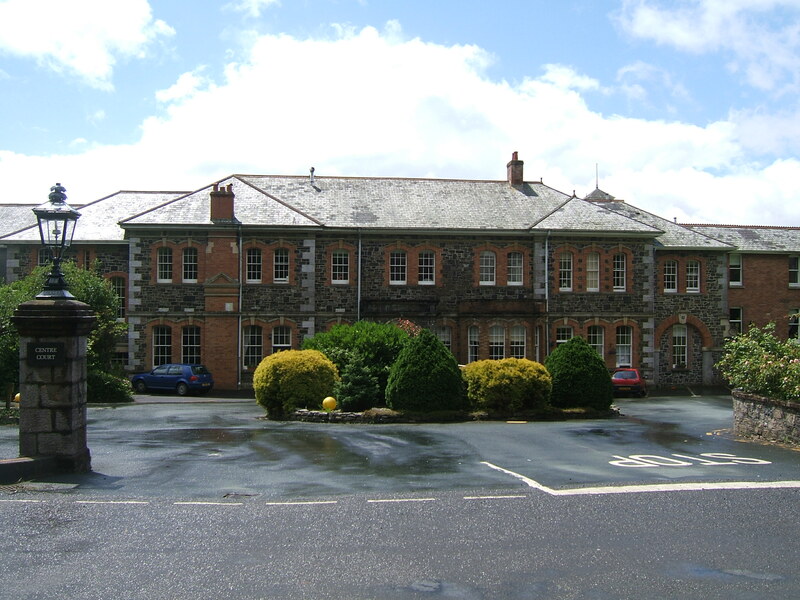 During 1914 the County Borough of Plymouth was expanded to include that of neighbouring Devonport and the urban district of East Stonehouse, dramatically expanding the hospitals catchment area. 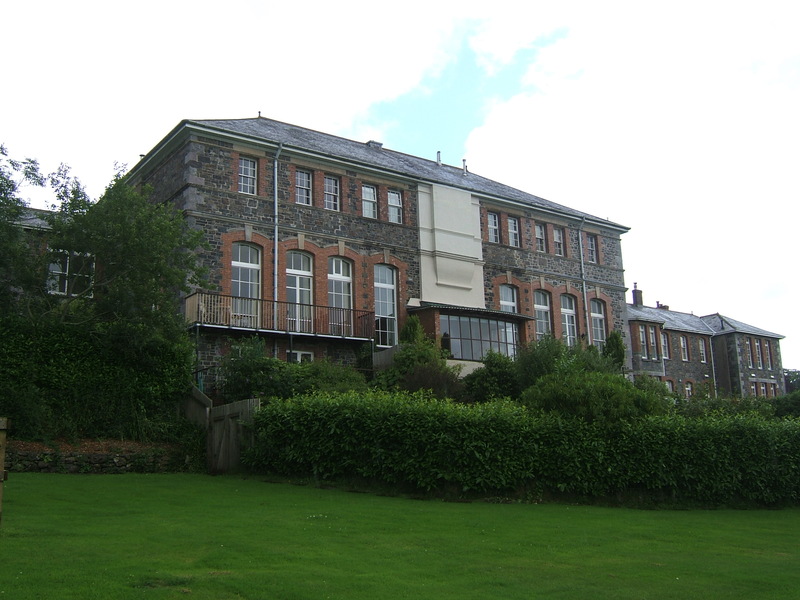 However the outbreak of World War I inhibited any further expansion and more patients were displaced from Bristol asylum as it became used for military purposes. 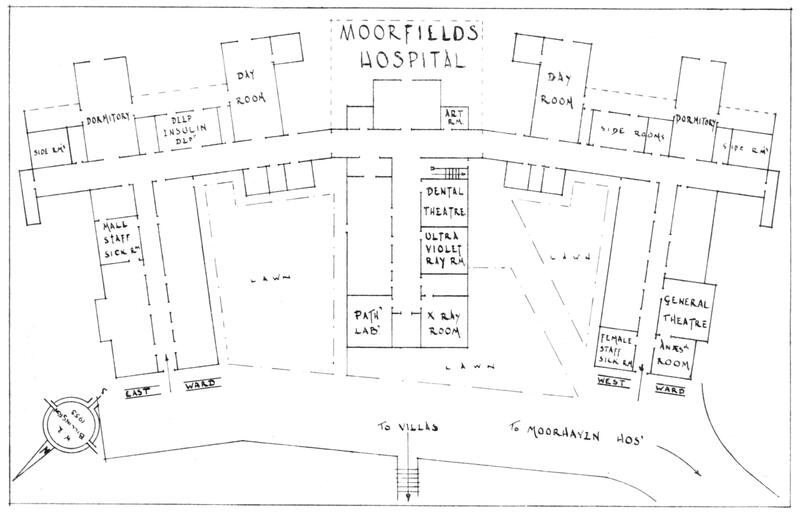 Peace time expansion resumed with the opening of Moorfields hospital to the north west of the main building on 25th October 1934. 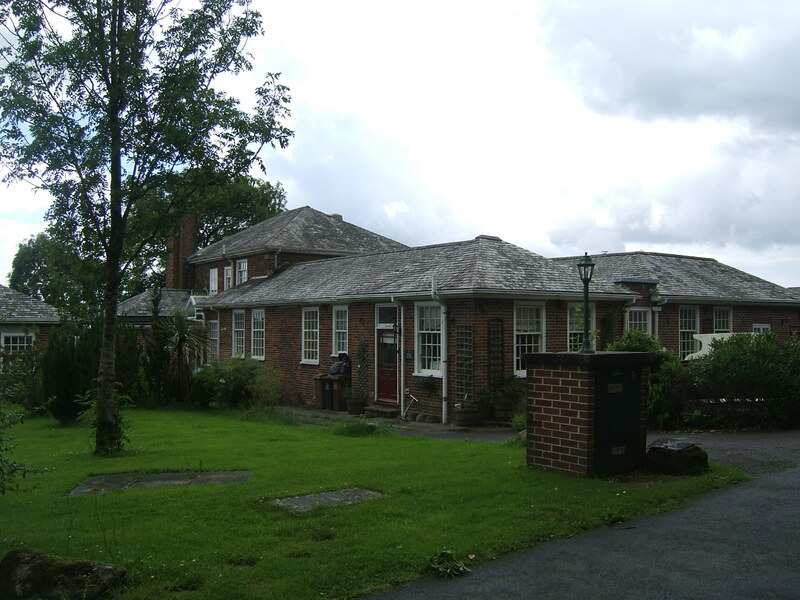 This complex incorporated admissions, therapy diagnostic and research facilities using the latest forms of treatment available at the time. 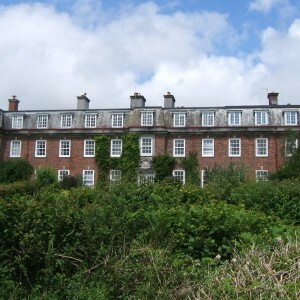 For those considered suitable for discharge male and female villas were included for convalescence. 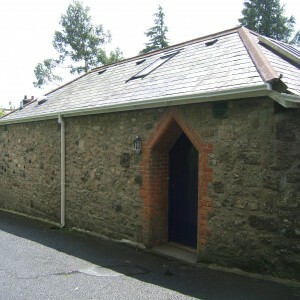 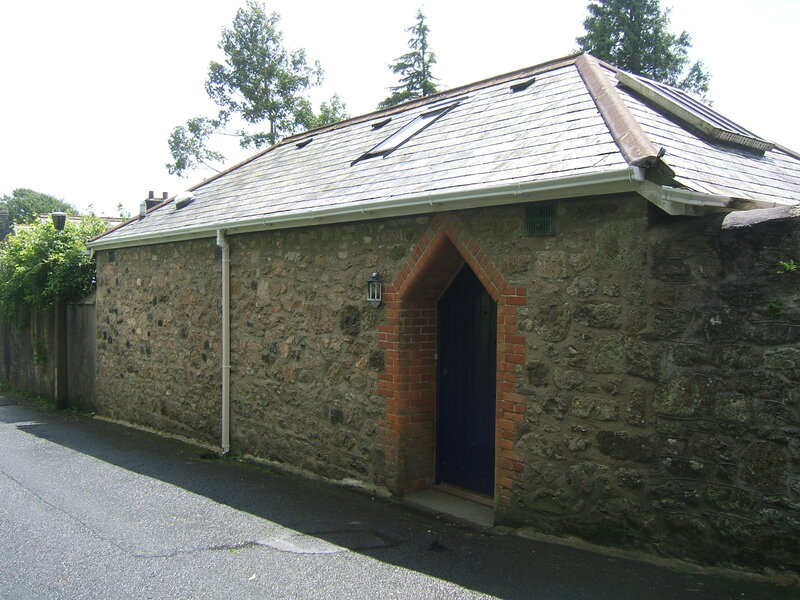 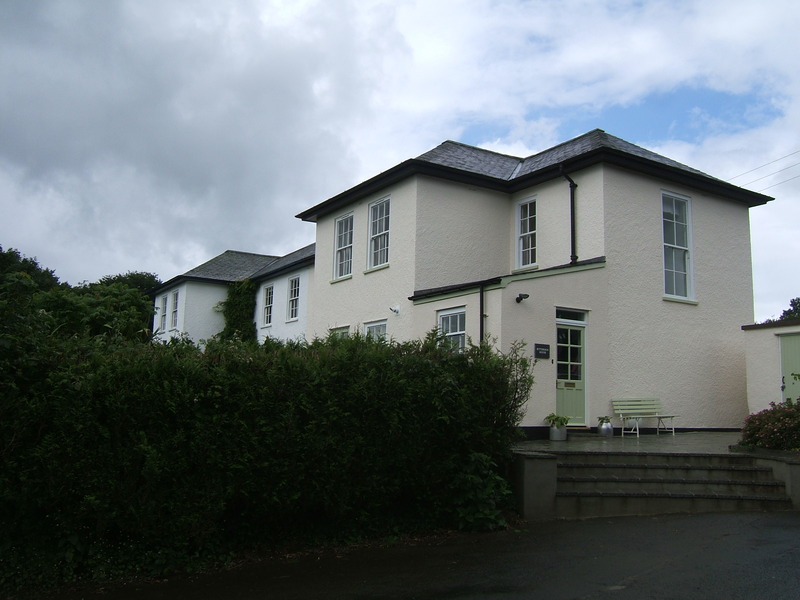 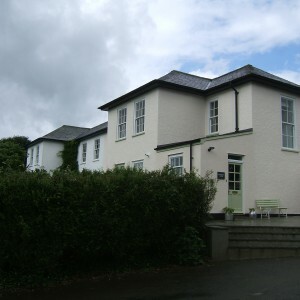 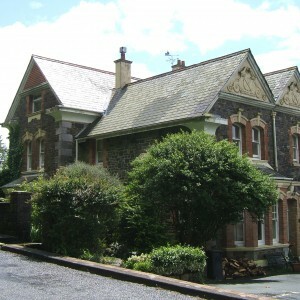 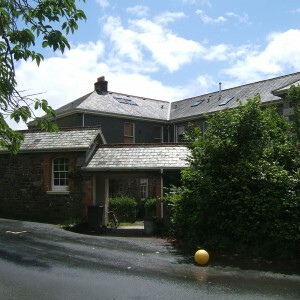 A new nurses’ residence was constructed adjacent to the gate lodge. 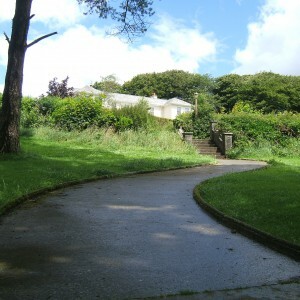 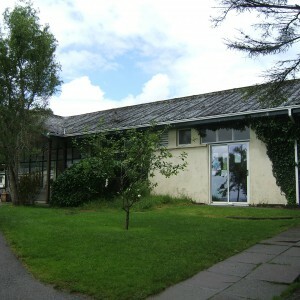 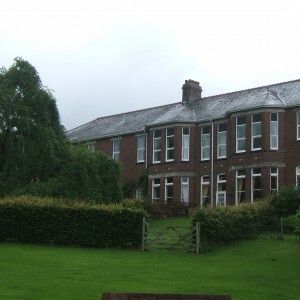 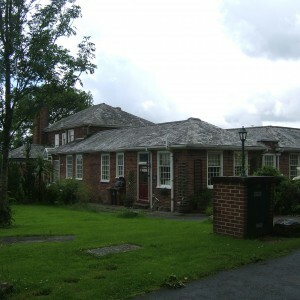 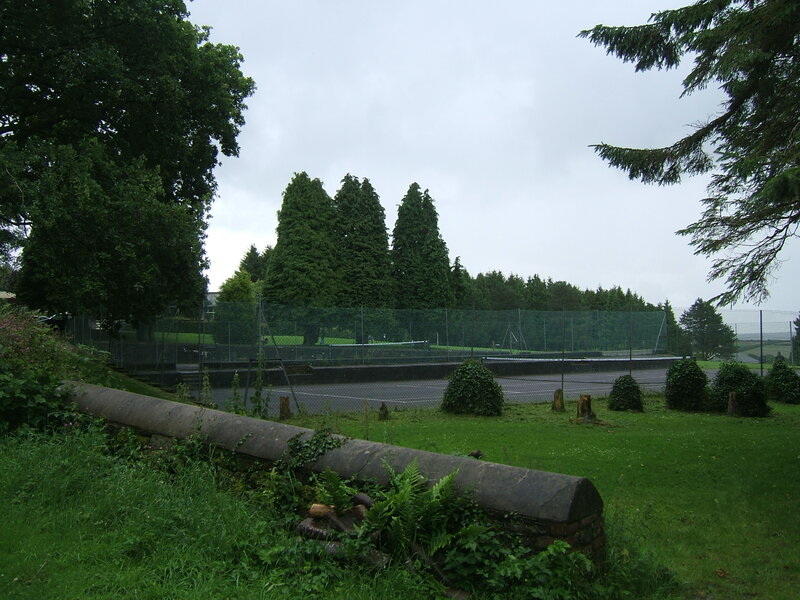 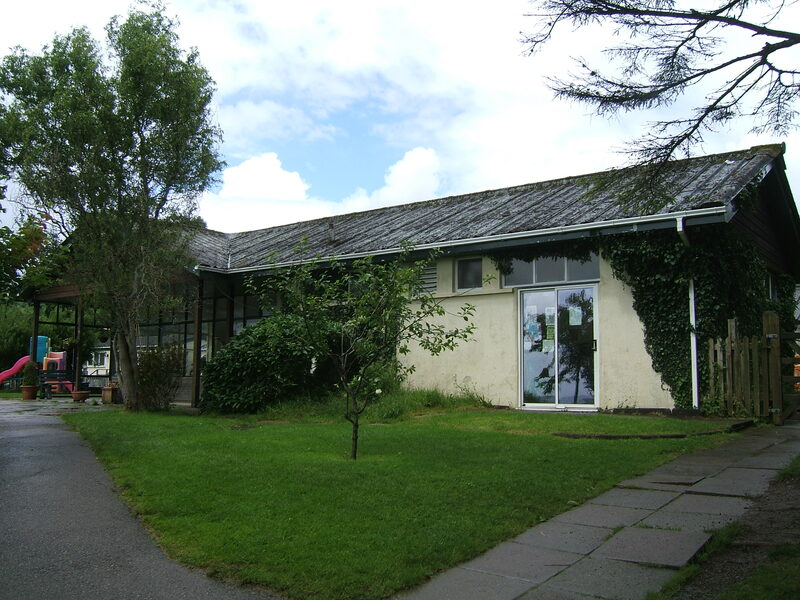 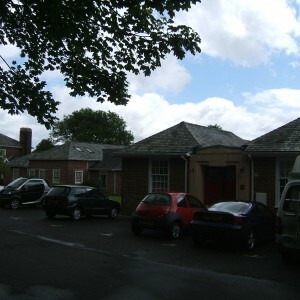 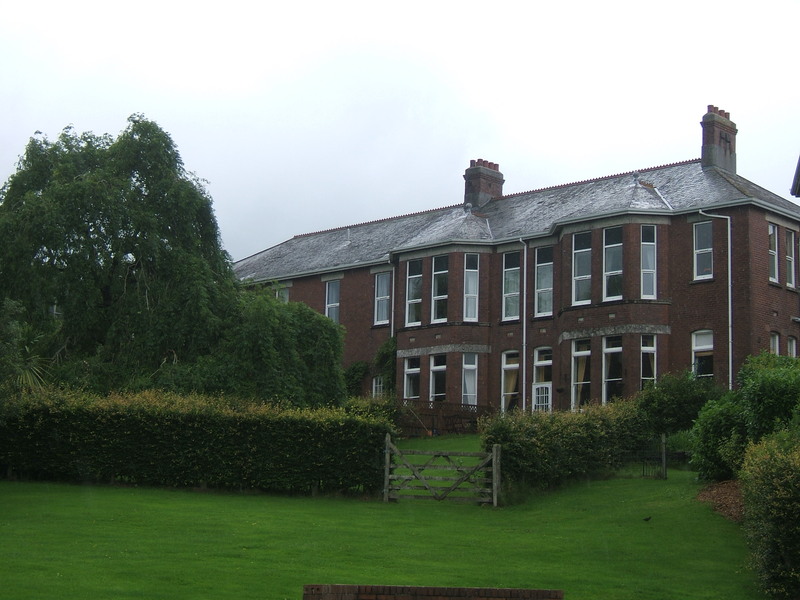 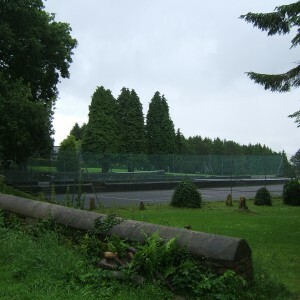 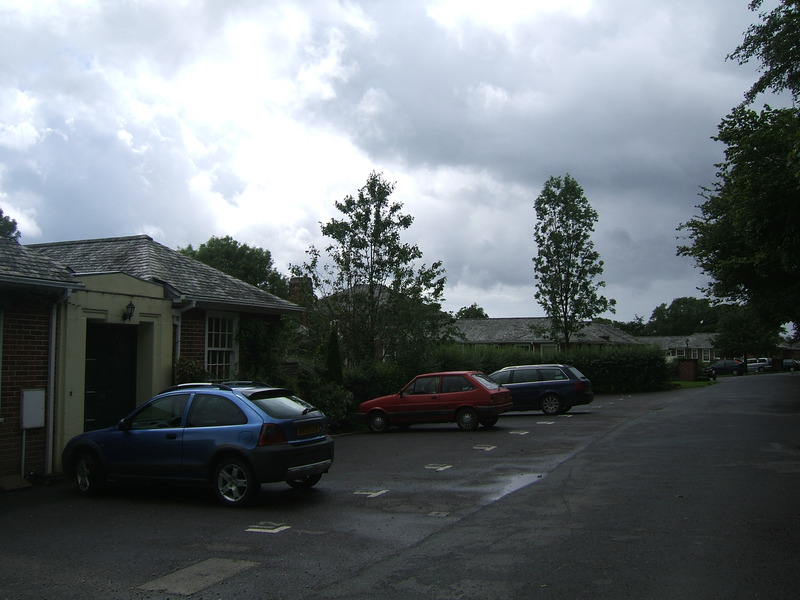 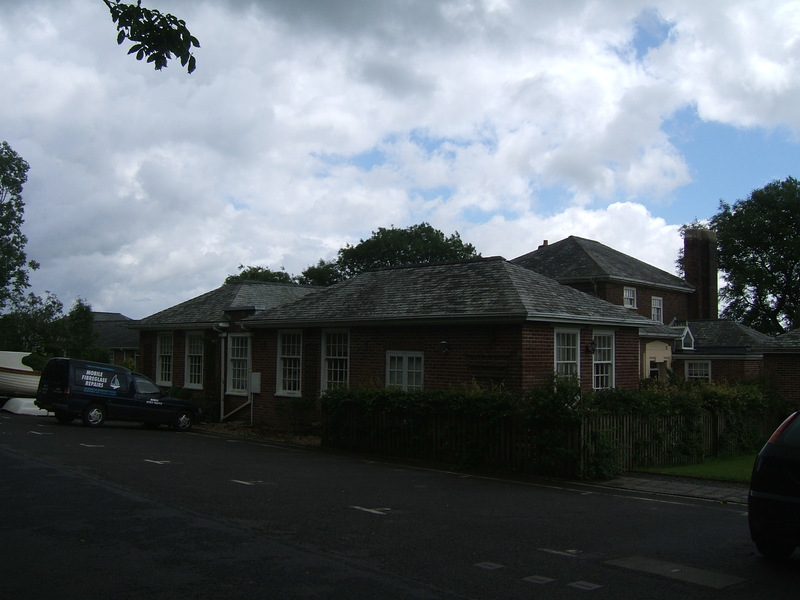 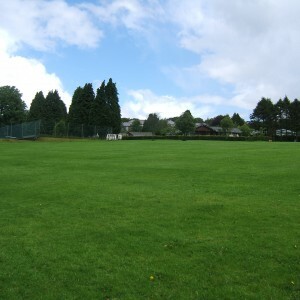 Further developments after World War II as part of the NHS included a new sports pavilion, handicrafts unit and refurbishment of the main building. 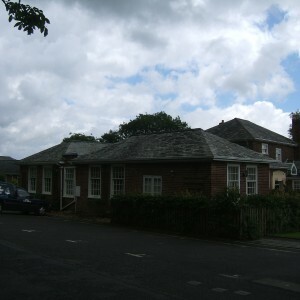 The Marshall clinic was opened on 8th October 1955. 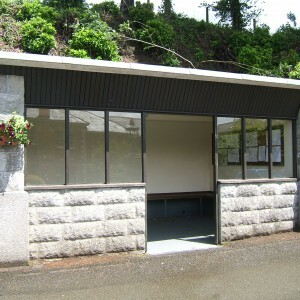 The former weighbridge opposite the administrative block was demolished and replaced by a substantial bus shelter. 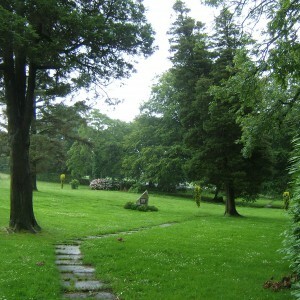 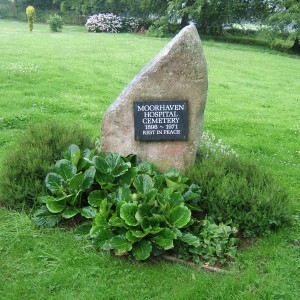 Burials in the hospital cemetery ceased in 1971. 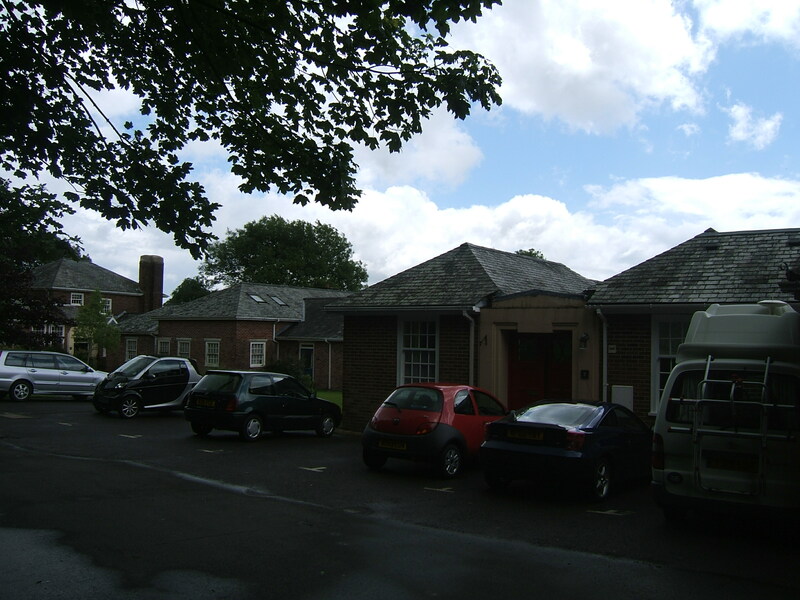 The hospital closed on 23rd February 1993 in line with transfer if mental health services to community settings. 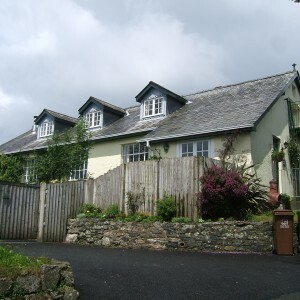 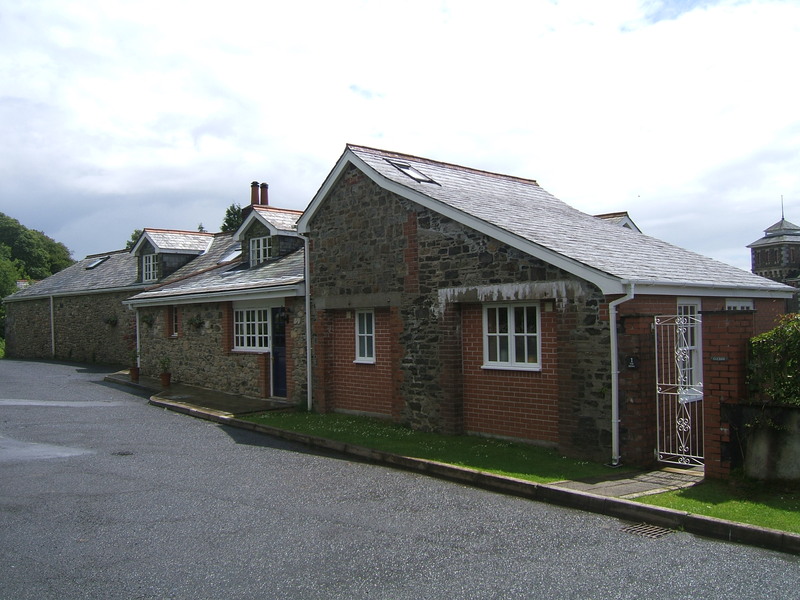 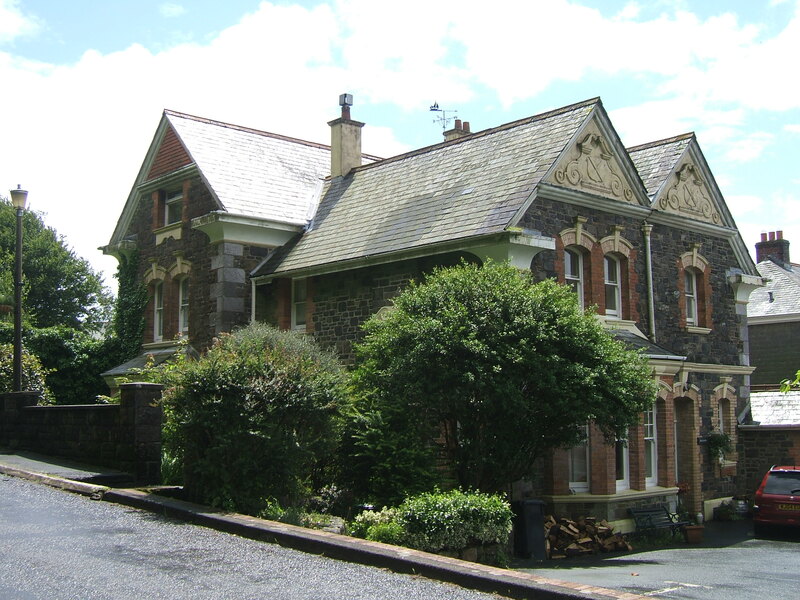 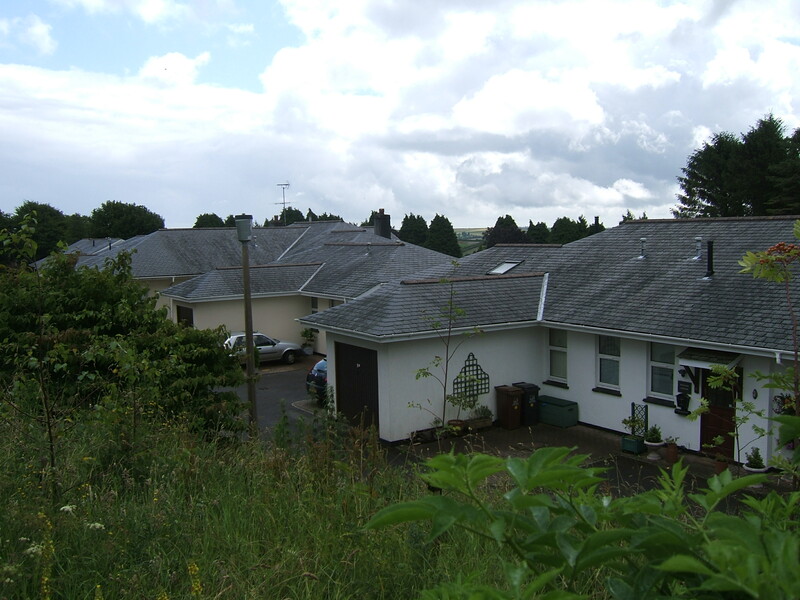 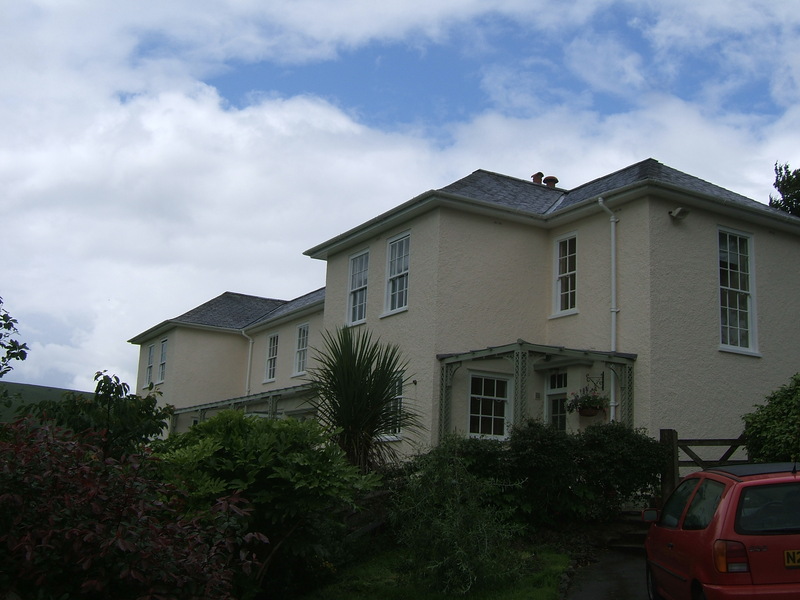 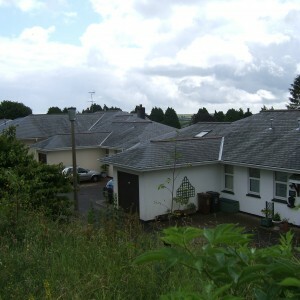 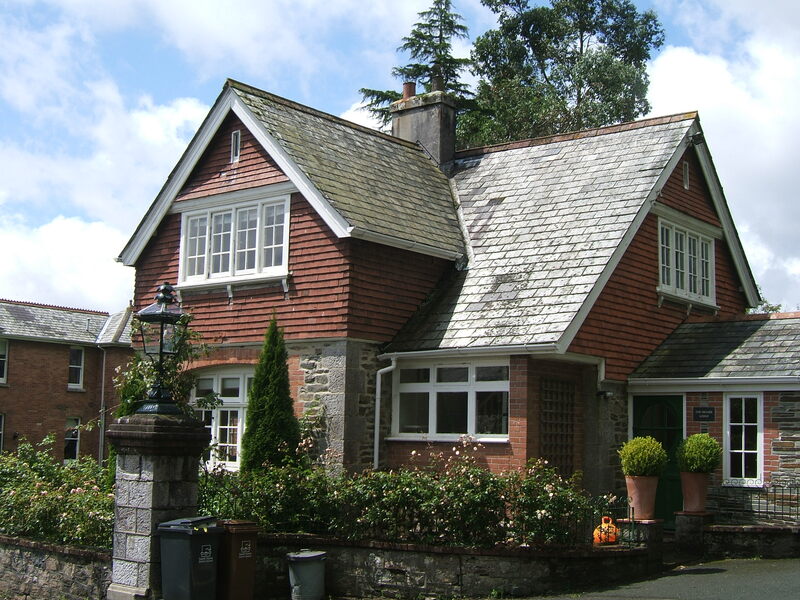 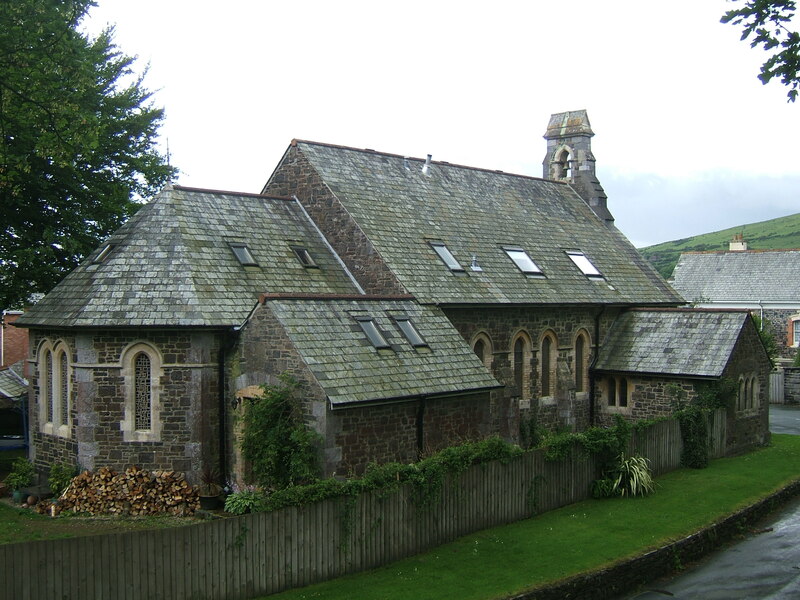 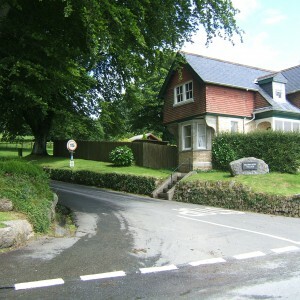 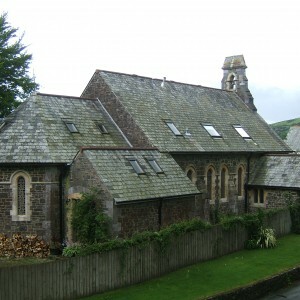 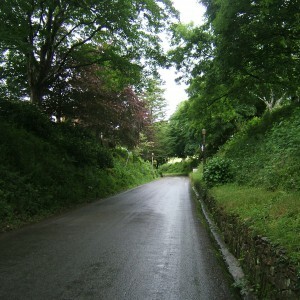 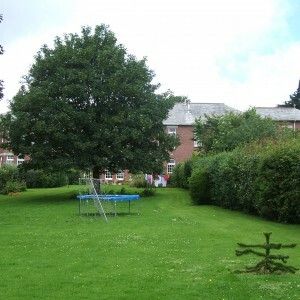 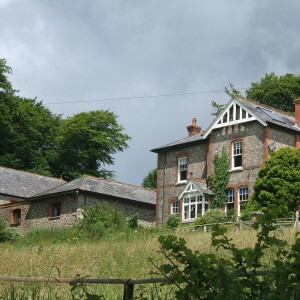 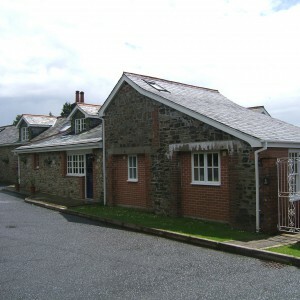 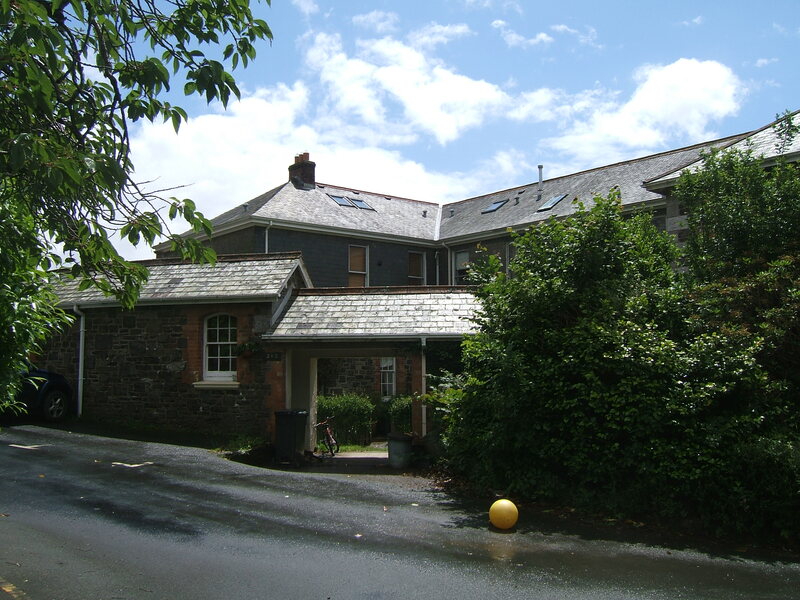 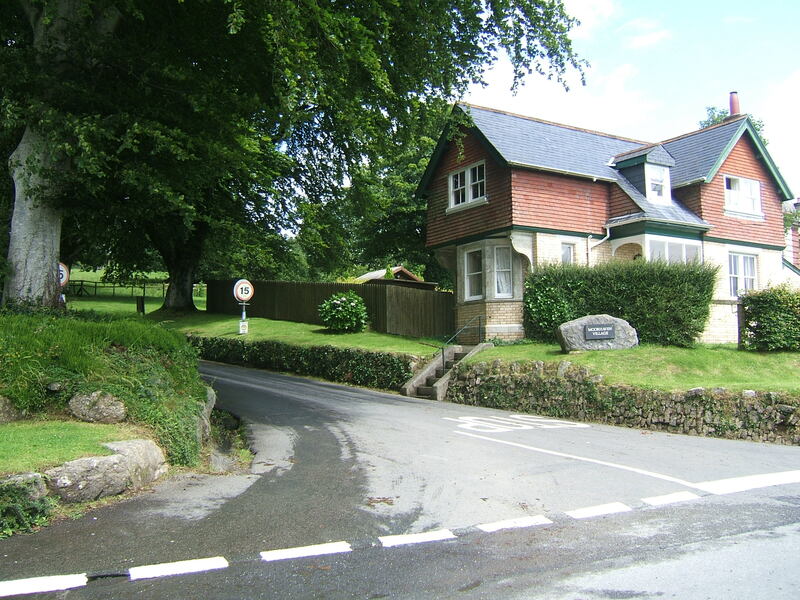 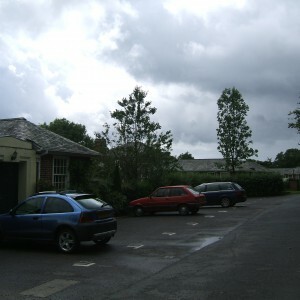 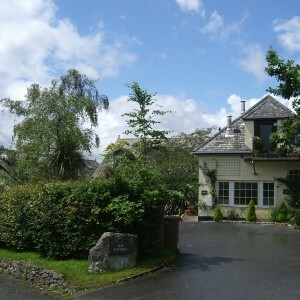 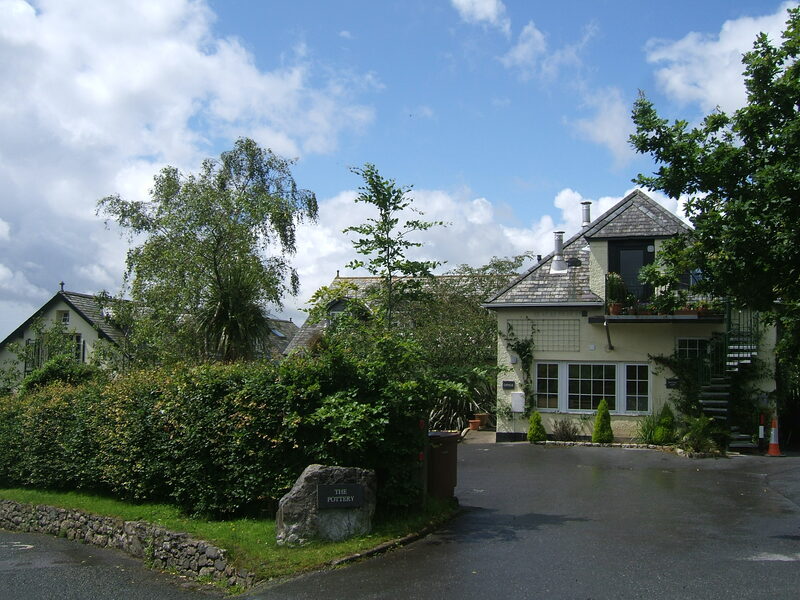 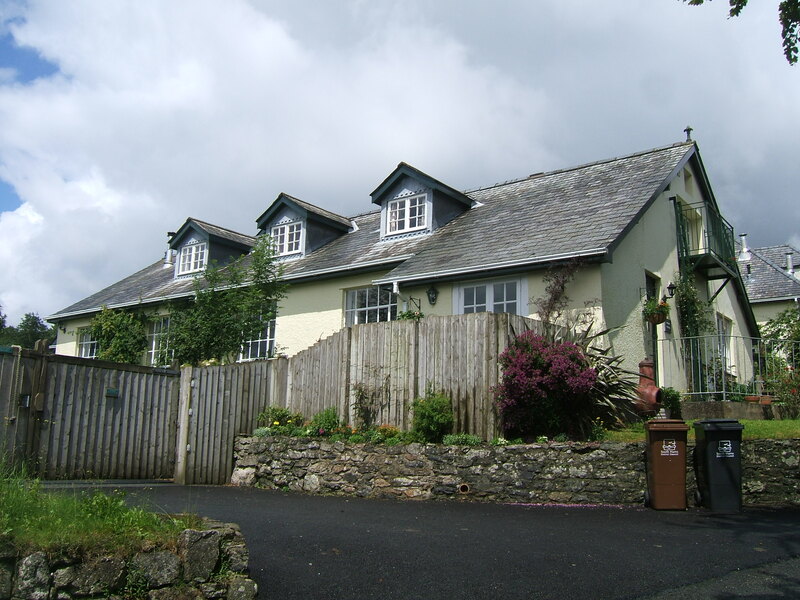 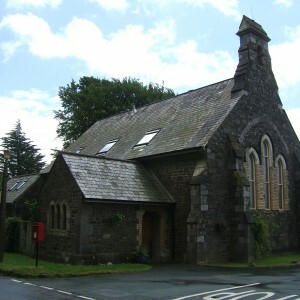 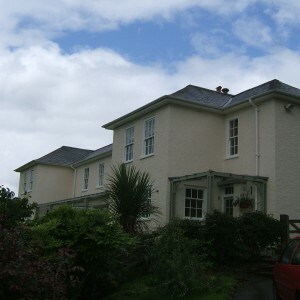 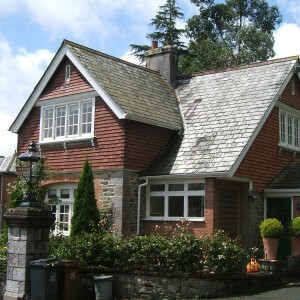 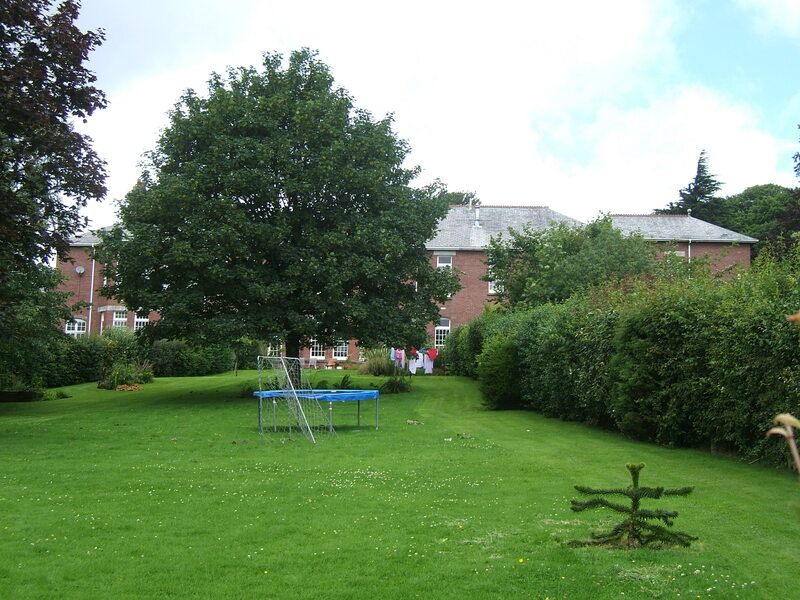 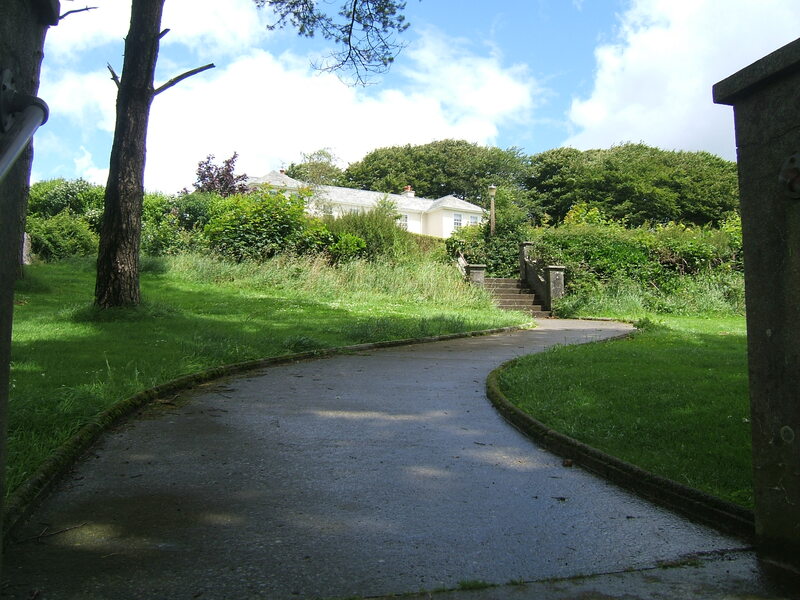 The proximity of Dartmoor national park prevented a major housing development and relief road from taking place and the hospital complex passed to a pair of developers who sympathetically converted each of the structures to residential use as Moorhaven Village. 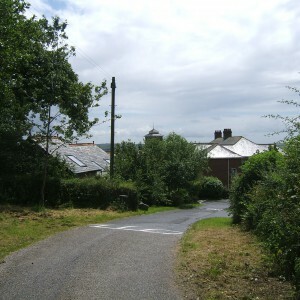 Almost every structure has survived redevelopment and covenants have protected the environment of the village. 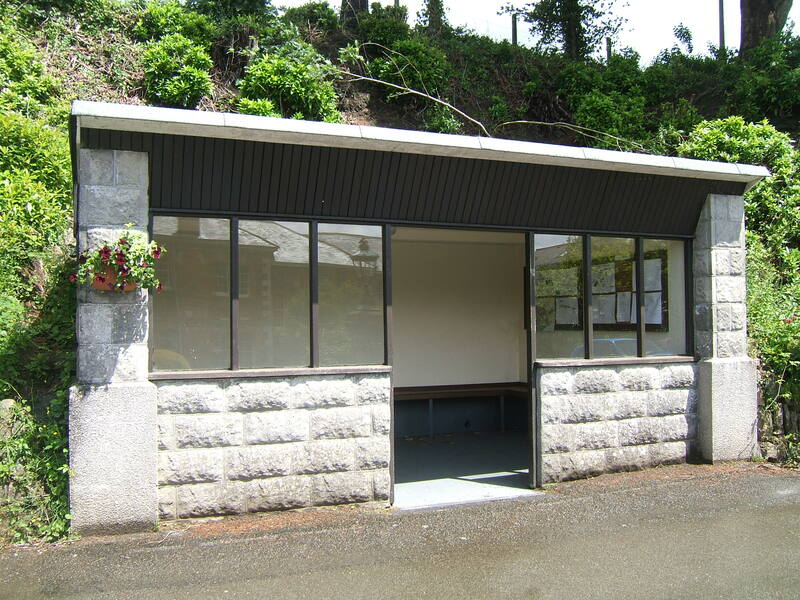 Thanks for sharing this page. 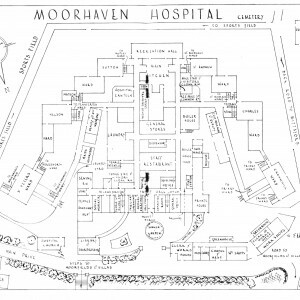 Just been researching a member of my family and confirmed my Auntie Margaret sadly passed away at this Hospital during 1979. 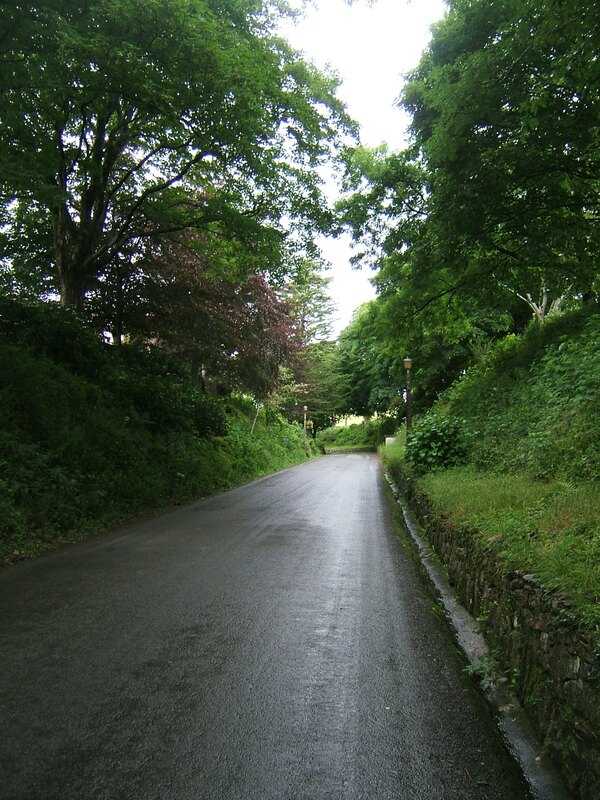 I remember it briefly as a young boy, a bit scary in those days I have to say. 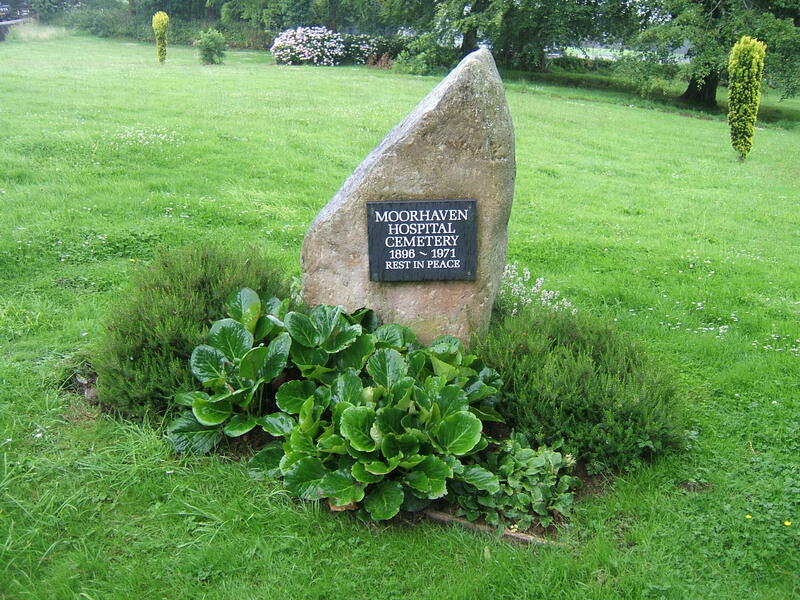 Thanks for this info. 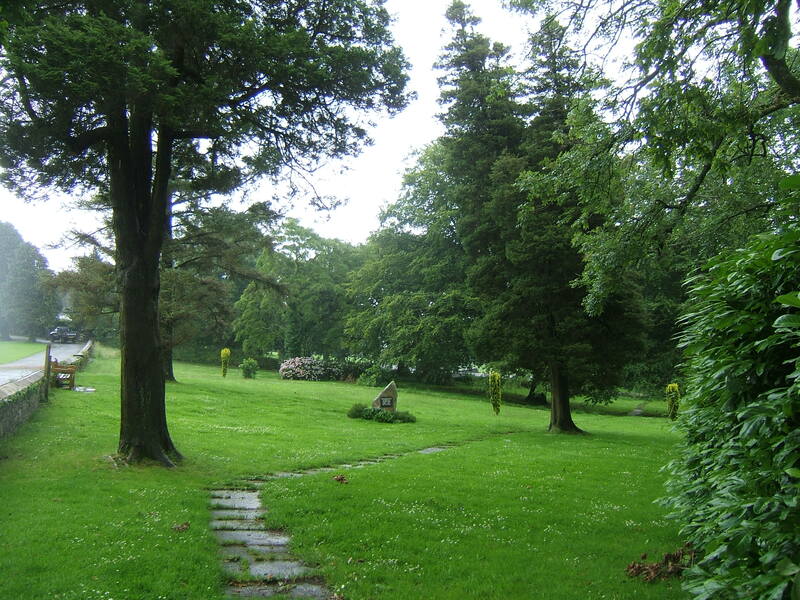 My mother spent a lot of time here when I was a small child, so it’d be interesting to see internal photos too. 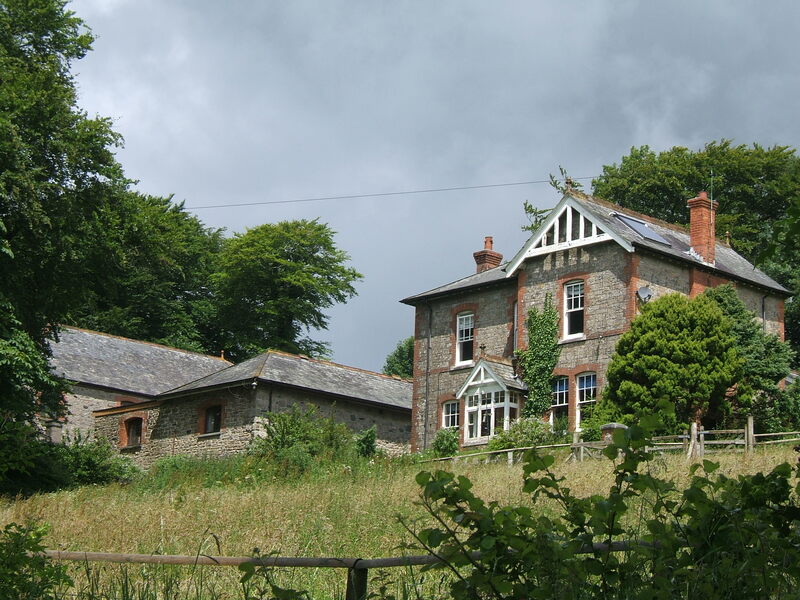 She escaped to a nearby field once but got stuck in the mud with some cows! 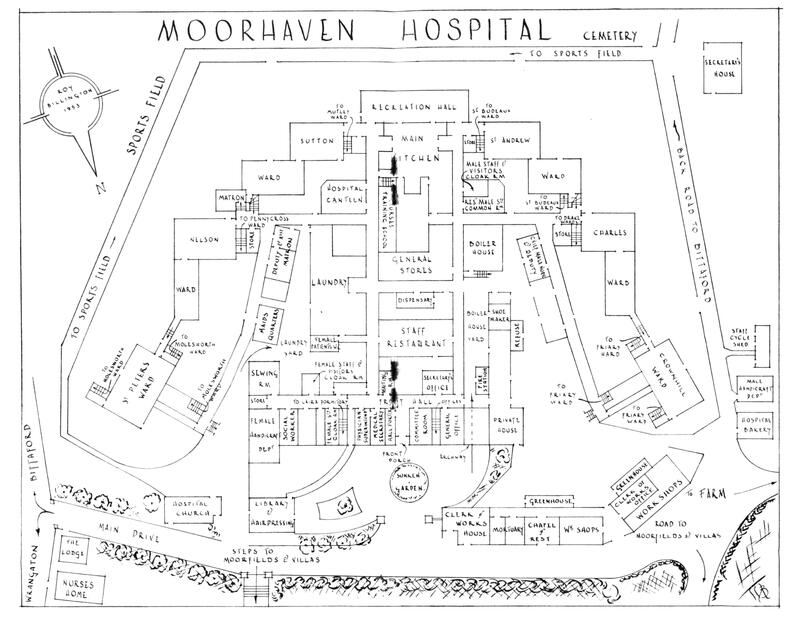 Hi sorry to just on your post but just wondered how I can get information on my great uncle who was at moorhaven 1970s.